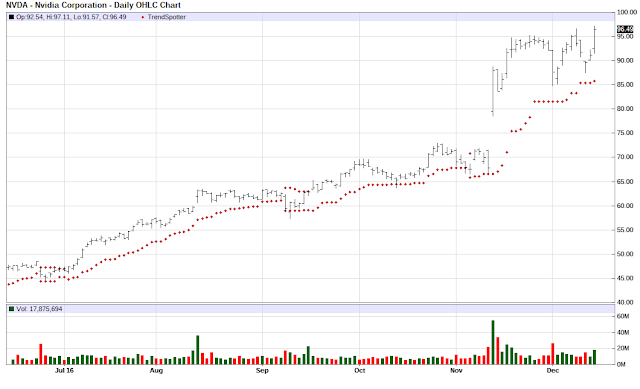 The Chart of the Day belongs to Nvidia (NVDA). I found the semiconductor stock by using Barchart to sort today's All Time High list first by the highest Weighted Alpha, then again by technical buy signals of 80% or more. 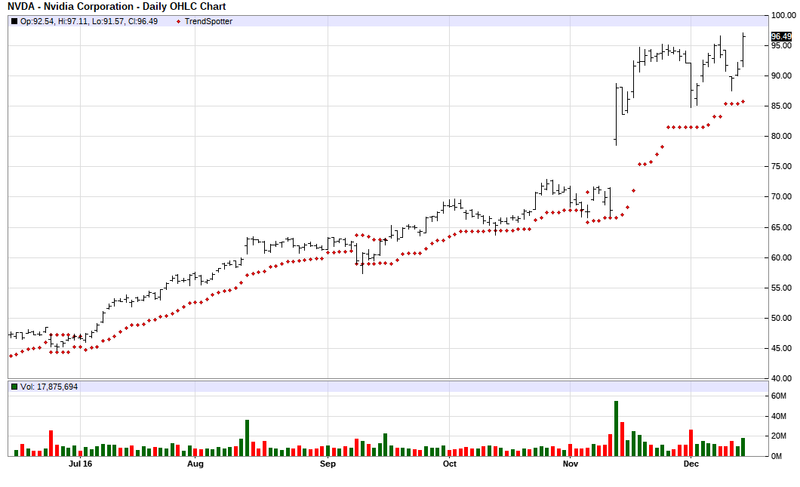 Since the Trend Spotter signaled a buy on 11/7 the stock gained 34.95%. Nvidia (NVDA) Corporation designs, develops and markets a `top-to-bottom` family of award-winning 3D graphics processors, graphics processing units and related software that set the standard for performance, quality and features for every type of desktop personal computer user, from professional workstations to low-cost computers. Nvidia Corporation's 3D graphics processors are used in a wide variety of applications, including games, the Internet and industrial design.